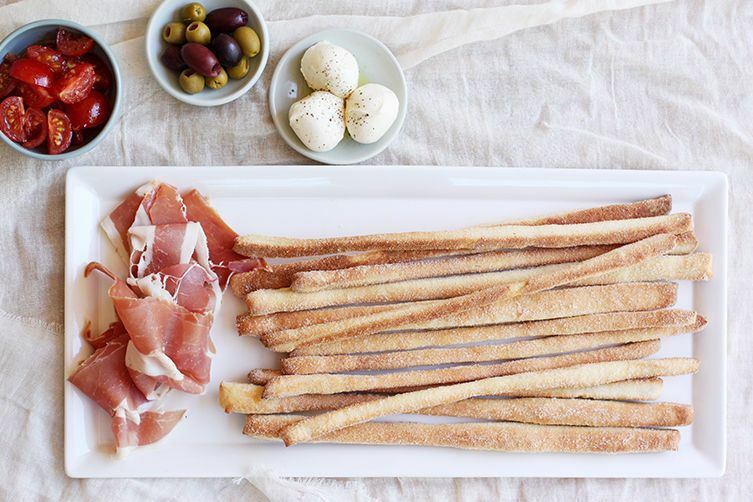 Today: Build the perfect antipasto platter. Literally meaning “before” (anti) “the meal” (pasto), the antipasto is the beginning of every proper Italian meal. It's meant to be shared before your primo (a first course, usually consisting of a portion of soup or pasta) and consists of charcuterie, cheese, pickled vegetables or olives, bread, and small cooked dishes. It adds variety and pure enjoyment to the meal. As you move from region to region, the delicacies that make up the antipasto will include whatever the locally made specialties may be. So, the cured meats may be bresaola in Lombardy, 'nduja in Calabria, or prosciutto in Emilia-Romagna and Tuscany; the cheese could be Pecorino in central Italy or mozzarella in the South. 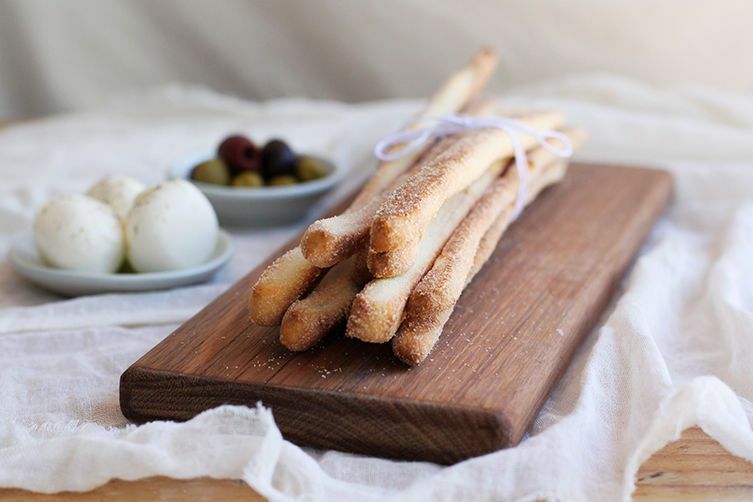 They're all eaten with bread, which might be hand-pulled grissini if you're in Torino or springy, unsalted wood-fired bread if you're in Tuscany. Seasons can dictate whether some bright, fresh tomatoes might appear with the cheese or whether sweet wedges of cantaloupe find themselves wrapped with prosciutto. And if you happen to be by the sea, you might see a seafood-based antipasto, too. An antipasto might often be a cold dish, but there are often some other bites on the spread that are warm and easy to pop into your mouth. 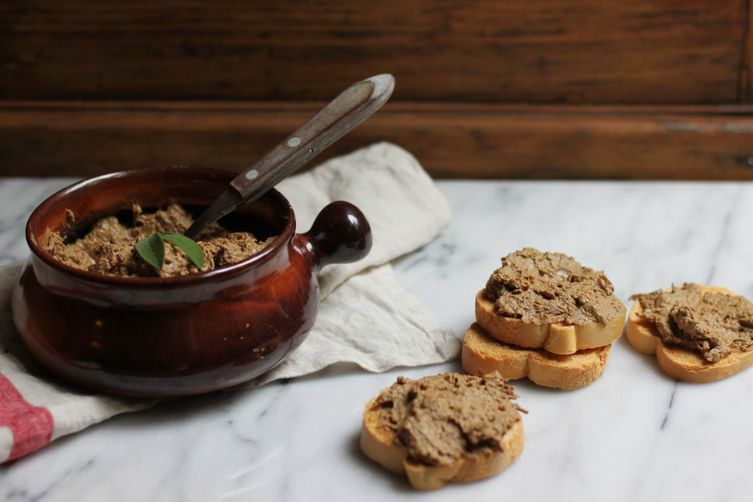 A Tuscan antipasto, for example, is never complete without some crostini topped with chicken liver paté (or lemony-garlicky sautéed Tuscan kale crostini for the vegetarians), along with slices of Pecorino cheese and prosciutto or other locally cured meats. 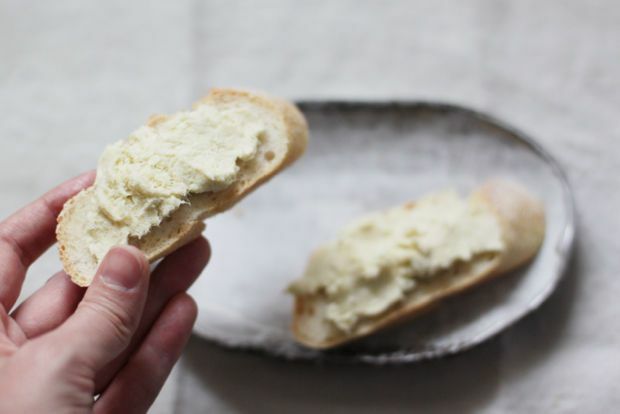 Meanwhile, Venetians favor the delicate creamy flavor of their baccalá mantecato, a sort of brandade of whipped salted cod, spread onto baguette slices. 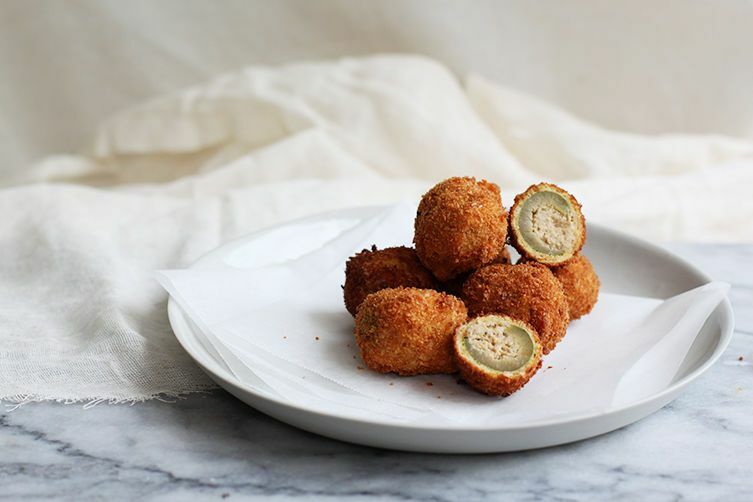 And don't forget the power of deep-fried goodness—olive all'ascolana, olives stuffed with a meat filling and crumbed, or some crisp yet creamy cannellini bean croquettes make a great addition to any antipasto spread. Finally, don't go too overboard—you don't want to ruin your appetite for the rest of the meal to come. 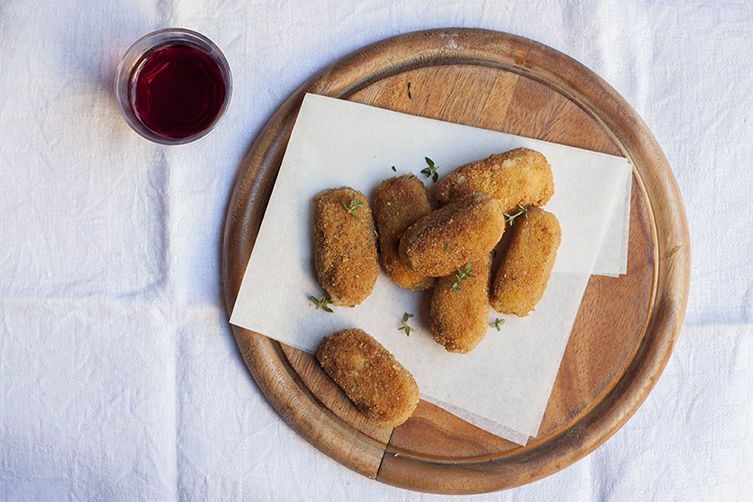 A few slices of charcuterie, a couple slices of cheese with bread, and a crostino or croquette or two per person should be plenty to see you through to the next course. 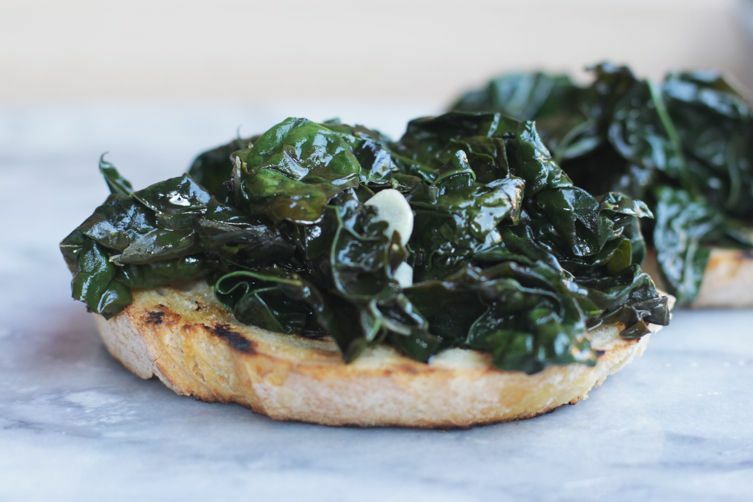 Here are 6 dishes to add to your antipasto spread. Buon appetito! My Italian mother-in-law does green tomatoes, which are just awesome, and smoked salmon smothered in olive oil and capers. So good. But I tend not to partake in the antipasto because I have no willpower and will definitely ruin my appetite for the million courses yet to come!